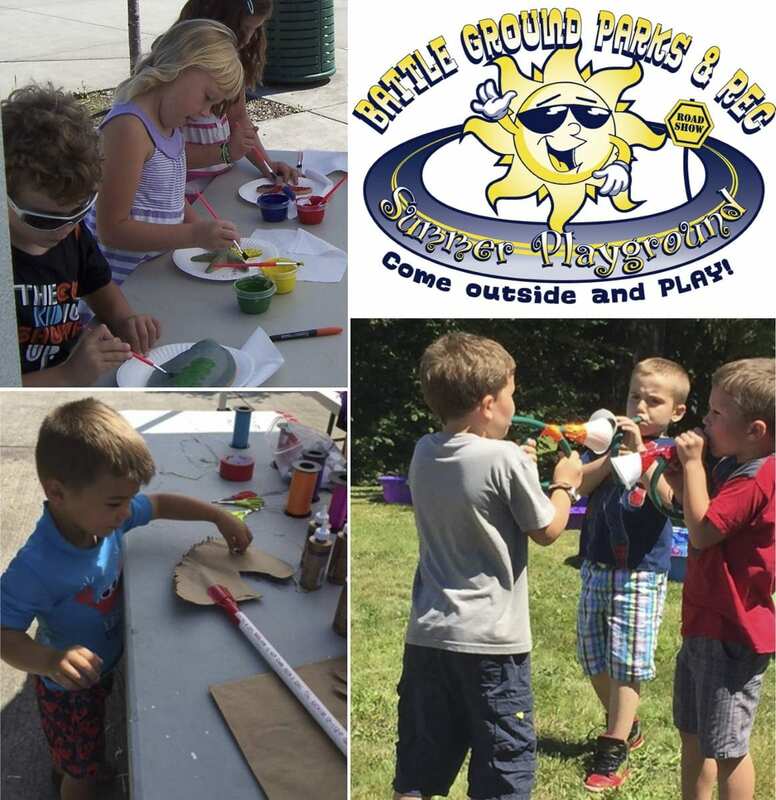 BATTLE GROUND — The end of the school year is near and that means Battle Ground’s Summer Playground program is just around the corner. The free program, designed for children aged 4-10, brings fun recreational activities to four Battle Ground parks each Wednesday and Thursday of the 9-week summer break. Weekly session begin Wed., June 27. Each week features a different themed activity and provides children the opportunity to make at least one arts and crafts project to take home with them. No registration is required. Thursdays: 10 a.m.-noon at Florence Robison Park (1900 NW 9th St) and from 2-4 p.m. at Cresap Park (1911 SE 2nd Place). The full Summer Playground schedule listing weekly themed activities and locations is available online at www.cityofbg.org/SummerPlayground. The Battle Ground Parks & Recreation program is made possible by funding from Riverview Community Bank and the Clark County Parks Foundation. For more information, contact Battle Ground Parks & Recreation at (360) 342-5380.